Simple landscaping improvements and additions can significantly increase the value of your property, with only a small investment. Landscaping adds to the curb appeal of your home, and sets the stage for potential buyers' expectations. 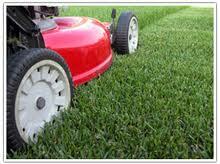 We can help mow your lawn, rake leaves, add flower beds, add plants/flowers, or fix sod.